“Transformation” is a word that gets thrown around quite a bit in the tech industry today, but Quickpath Analytics is one company walking the walk with machine learning and predictive analytics. Their platform enables organizations to make intelligent business decisions by enabling data pipelines, predictive model model deployment, decision orchestration, and monitoring decision performance in real time. In order to make their user experience intuitive and interactive to data engineers and data scientists in a quick and affordable way, Quickpath came to Topcoder to explore the speed, optionality, and quality provided by crowdsourcing. We spoke with Quickpath Co-Founder Alex Fly about his experience with our platform and their vision for Quickpath’s future. Quickpath provides automated and intelligent decisioning for organizations using machine learning and predictive analytics. Data scientists and data engineers use our self-service machine learning enablement platform to develop and deploy real-time data and analytics to power key business decisions. With nearly two decades of experience in the data and analytics space, we help organizations realize the power of machine learning and predictive analytics, regardless of where the organization is along the data science maturity curve. Before Topcoder, had Quickpath tried crowdsourcing for design and development work? We had used several freelancer sites to supplement our engineering team with skill sets required for niche expertise — the kind required for small features or capabilities we wished to enable in our platform — but had not previously leveraged crowdsourcing. What kind of work has Quickpath gotten done through Topcoder? How has the process been? 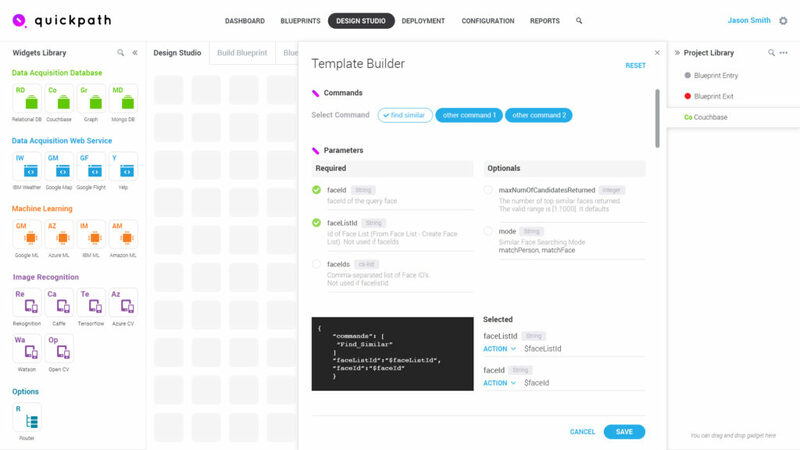 In order to deliver on our mission to create a low-code, self-service platform that enables data scientists and data engineers to deploy machine learning decisioning into production applications, we knew we needed an interactive, drag-and-drop user experience. However, our architects and engineering team were more focused on data and backend development (which aligns to the true nature of our platform). 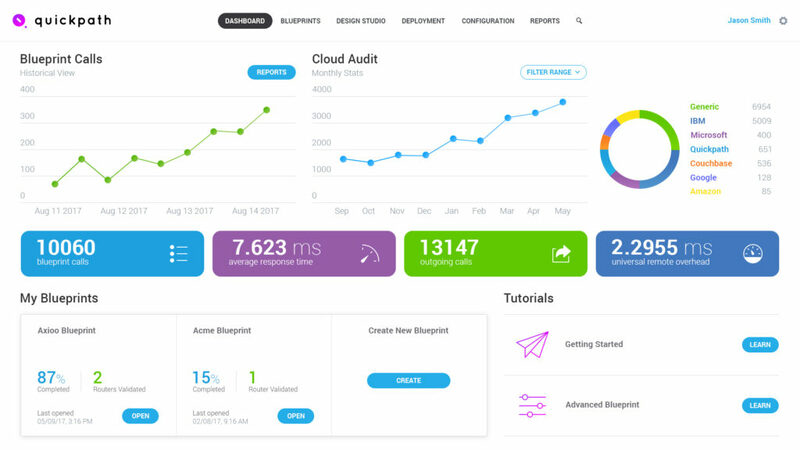 We had several examples of similar user interfaces in the marketplace, but did not have any experience in the UX design and application frameworks used for a drag-and-drop design studio. We began our work on Topcoder with a design challenge — to get several UI design mockups that we could choose from and refine. We received seven submissions and were able to narrow it down to the top three before providing feedback for refinement. We selected the winner from the second round and moved forward with a development project. The initial project took a couple of weeks to deliver and then a few more weeks to eliminate a few bugs with the sophisticated interactive design studio functionality. 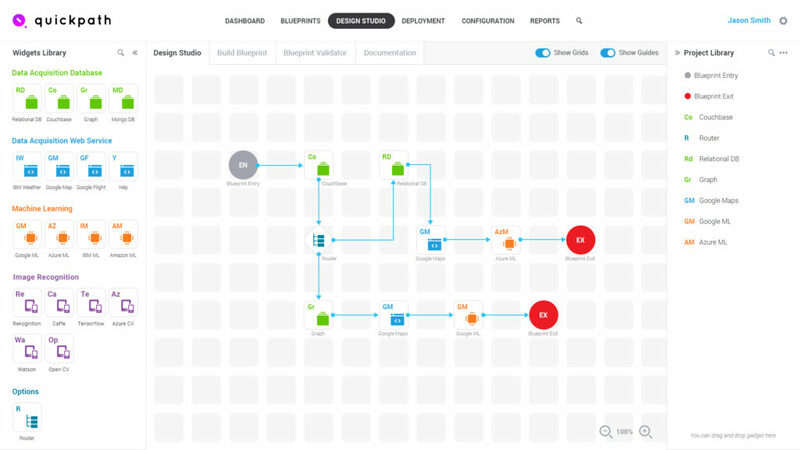 Our development team was able to wire our backend platform into the newly delivered UI within ten days, and we’ve recently launched Quickpath Analytics as an industry-leading machine learning enablement platform for intelligent decision automation. What did it take to get up and running with Topcoder? It required some organizing on our side in terms of preparing and describing the outcomes we were looking to achieve, and why ease of use and an interactive interface was so important in what we were trying to achieve: self-service for deploying and managing data and analytic driven decisions into real-time production environments. 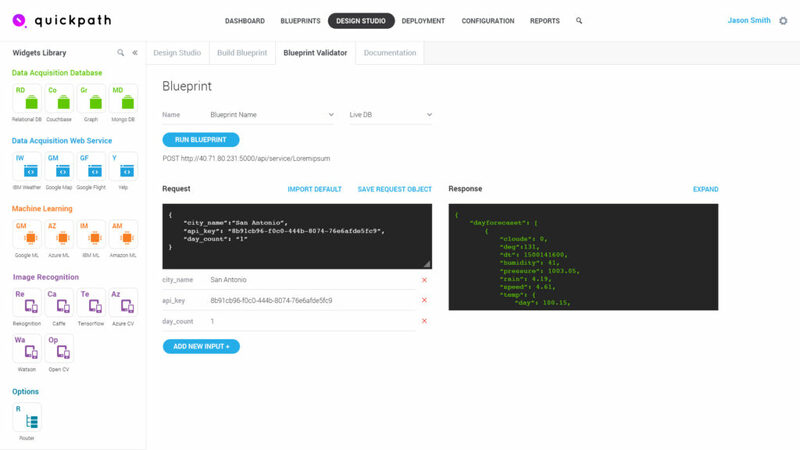 The onboarding, introductions to our copilot, and the Topcoder Connect self-service platform made it all quite simple. 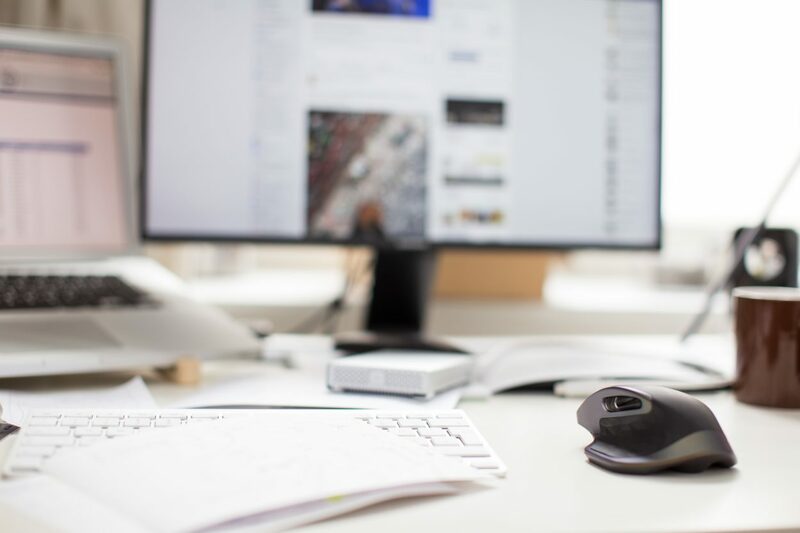 Topcoder has a well-defined process supported by a great technology platform; the two combine to reduce friction for a startups like our engaging with Topcoder’s service offerings. Who on the Quickpath team is involved in creating, submitting, and reviewing work through Topcoder Connect? Myself, Trent McDaniel, Co-Founder and CTO, and our Lead Engineer, Zack Dailey. Topcoder Connect provided an online collaboration space that allowed our team, separated by geography, to work together with our Topcoder copilot and designers. We could ask questions, provide feedback, and see changes made in 24 hours or less. Did it help to have a designated copilot (i.e., project manager) at Topcoder? Once we had our documentation in place and examples of similar application UIs as examples, the project copilot and Topcoder team were both excellent in terms of walking us through the process, constantly communicating the status, and resolving questions through the platform — all while managing our expectations throughout the project lifecycle. How was the quality of the design submissions you received? We received seven submissions for our design challenge, and saw individual design elements or concepts we liked in each of them. There was a pretty easy selection of the top three. Those designers really read the requirements, reviewed the examples provided, and took to designing a UI mockup that met those requirements. We selected the final winner and had them incorporate a few details from some of the other designs that we liked as well for some finishing touches. Big picture: How has getting work done through Topcoder benefited Quickpath? 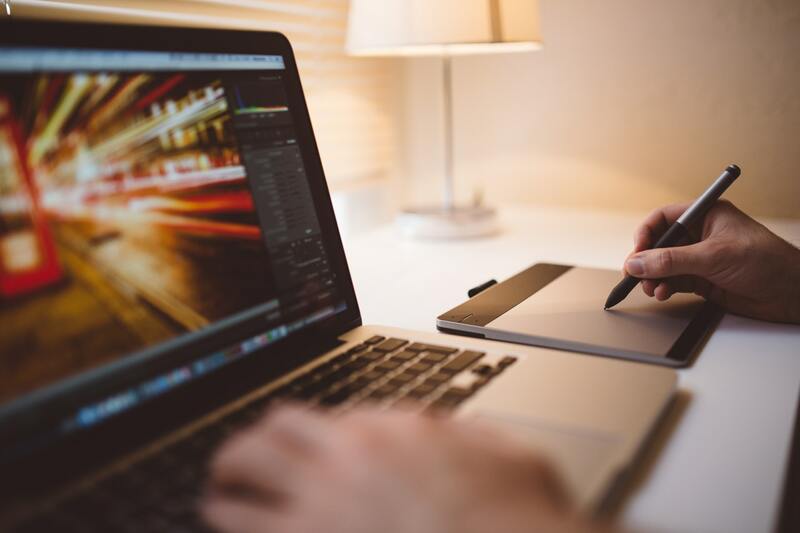 Topcoder was huge in helping us realize our vision in a timely manner and at a fraction of the cost — and without the risk of trying to hire a designer in an area in which our existing engineering and architecture team did not have a great deal of expertise. Quickpath’s mission is to provide data scientists and data engineers with a platform to quickly and easily develop, deploy, and manage intelligent real-time decisions powered by best-of-breed machine learning and predictive models. In order to deliver on our mission, it was critical that our design studio simplify the complex and sophisticated work of real-time data acquisition, transformation, model scoring, and business rule management. Now with the easy-to-use interactive design studio and robust testing, monitoring, and decision performance management tools, data scientists are capable of deploying not just models, but real-time intelligent decisions.